No matter what profession you work in there are established standards that apply to everyone. These standards may come from a government law or regulation, or they can be established by the professions organisational governing body. For example there are certain regulations about drug use set forth by the MHRA. The GMC also has certain requirements all doctors in the UK must adhere to in order to receive and maintain their license. Negligence of these standards can result in the medical professional facing a malpractice lawsuit. What is Wrongful Death Medical Malpractice? Wrongful death medical malpractice happens when a patient dies due to the attending doctor failing to provide medical care in accordance with accepted professional standards. A fine legal point often followed in these types of cases is whether the patient would have died regardless of the treatment performed by the doctor. For example a person diagnosed with cancer may die regardless of the drugs or chemotherapy or any other procedure used. The best a doctor can do under such circumstances is to minimise the pain and suffering and allow the patient to die with dignity. However if the cancer was such that a doctor could have initiated a treatment sooner or performed a particular surgery and didn't which resulted in the patient's death, a wrongful death medical malpractice case can be filed. It is necessary to show that it was the doctor's and/or hospital's negligence that resulted in the patient's death. The patient's death can also have significant financial and psychological effects on the family and loved ones. If the patient was the primary source of family income such a death could be very devastating. It is factors like this that solicitors also take into consideration when preparing a wrongful death medical malpractice case. Where Can I Find Wrongful Death Medical Malpractice Companies? 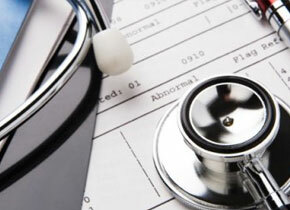 A wrongful death medical malpractice case can be lengthy and complex. The main issue is proving your loved one died as a direct result of negligence. Most solicitor firms will offer a free consultation to advise you on your rights. They can also then give you an estimated fee. Included in the fee might also be which payment option the firm prefers to use. There are several and you should consult several firms to get a fair and equitable fee. Among the payment options you may be offered are: no-win, no-pay; percentage of settlement; fixed fee; and pro-bono where there is no cost what-so-ever for the legal service. A legal settlement cannot bring back your loved one, but it can provide you with a sense of justice if the death was in fact due to negligence. Seeking proper legal counsel will help you determine whether your cause is valid and what can be done. Your local solicitor will provide you with a planned course of action, price, and estimated time to settlement.